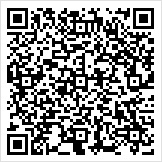 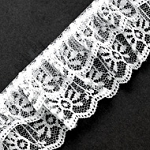 Craft and sew your lovely design visions to life. 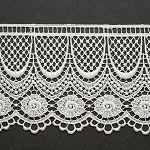 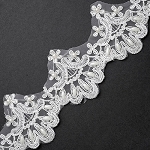 Our quality lace trims are the best choice to decorate apparel for special occasions with many different ornamented styles. 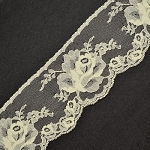 Select patterns from classic flowery trim, swirly waves, Raschel Lace - stretch and non-stretch and many others. 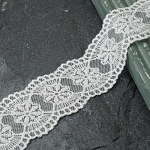 Ivory or white beaded lace trims are especially great for embroidering bridal dresses. 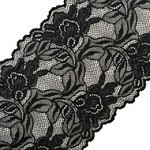 Create a one of a kind prom or bridesmaid dress with tasteful metallic lace. 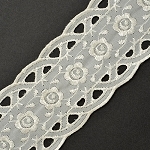 Make seasonal craft projects with Cluny, embroidery, or pleated & ruffled lace. 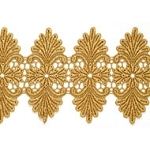 Deck out fashion accessories, curtain valances, home décor accents, gift wrap & anything else you can dream up.